Our conversion rate optimization services will help you understand visitor behavior and will tailor your marketing methods accordingly. What you’re looking for: Accurate tracking data that can help you close more sales.When you’re able to track the behavior of each of your website’s visitors, you can figure out which marketing techniques are the most effective and use them to increase your business. Our conversion rate optimization services can tell you if your visitors clicked through to your website because of a paid search ad, a search engine result, a social media post, and more. If they used a search engine, we can even tell you what keyword phrase they typed in to find your company. 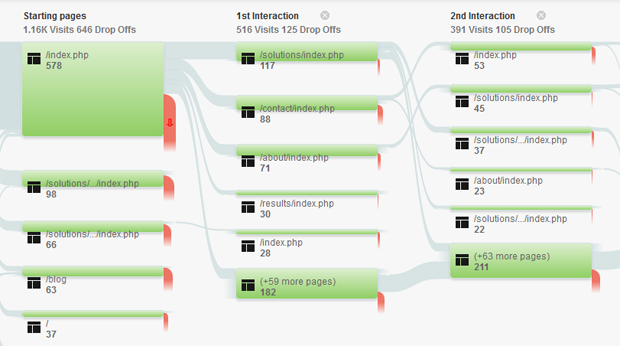 After we find out how your visitor got to your website, we’ll track exactly what they do once they’ve clicked in. We can tell you what pages they click on, how long they stay on each page, and whether they sign up for a newsletter or fill out a form. With our Voice Analytics, we can even track whether they called your phone number and play back your recorded conversation. With our conversion rate optimization services, you can determine the most effective way to sell your products or services whether you have a little website traffic or a lot. We’ll tell you which method of marketing works the best for your company and tailor our efforts to complement it. For example: If you’re spending money on a paid search campaign but are getting more leads from organic searches, we can stop your paid search spending and put more effort into search engine optimization. Conversion rate optimization services give you the business intelligence data you need to make informed decisions and leverage the most from your ongoing marketing initiatives.